The desk provides four deep compartments perfect for storing books, toys and craft materials. Featuring four hinged, white lacquered doors with inset handles. 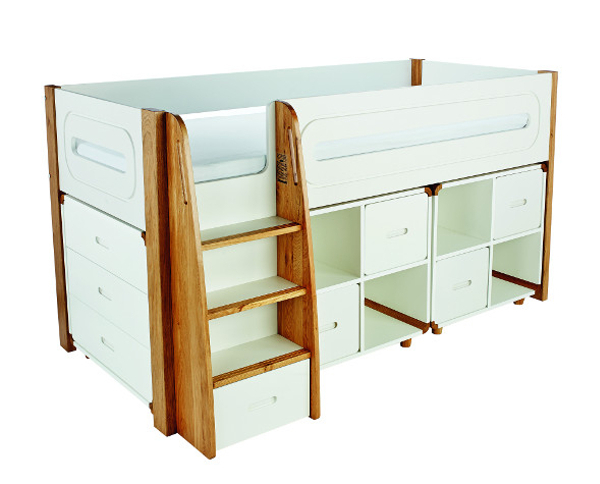 Includes Curve Midsleeper, 3 Drw Chest and Large Desk and with two pairs of white lacquered doors.